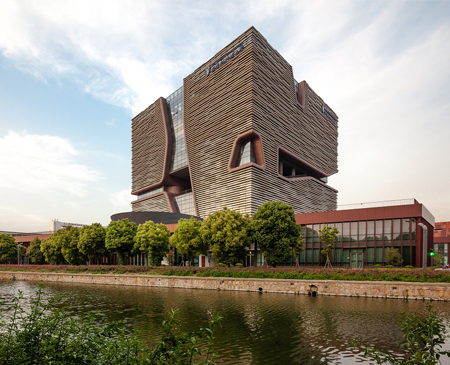 Aedas-designed Xi’an Jiaotong-Liverpool University Administration Information Building in Suzhou, China, won a Bronze Award at this year’s Design for Asia Awards (DFAA). The project, designed by Executive Director Andy Wen, is the main administrative building of the university and gives a modern interpretation of the famous Taihu stones in the region. The porous nature of the stones is reflected architecturally by voids and spaces inside the building to facilitate interaction and allow a series of sustainable design features. DFAA is the flagship programme of Hong Kong Design Centre to celebrate design excellence and acknowledge outstanding designs with Asian perspectives. It commends the best designs based on their design excellence and projects with commercial and societal success and/ or impact in Asia.